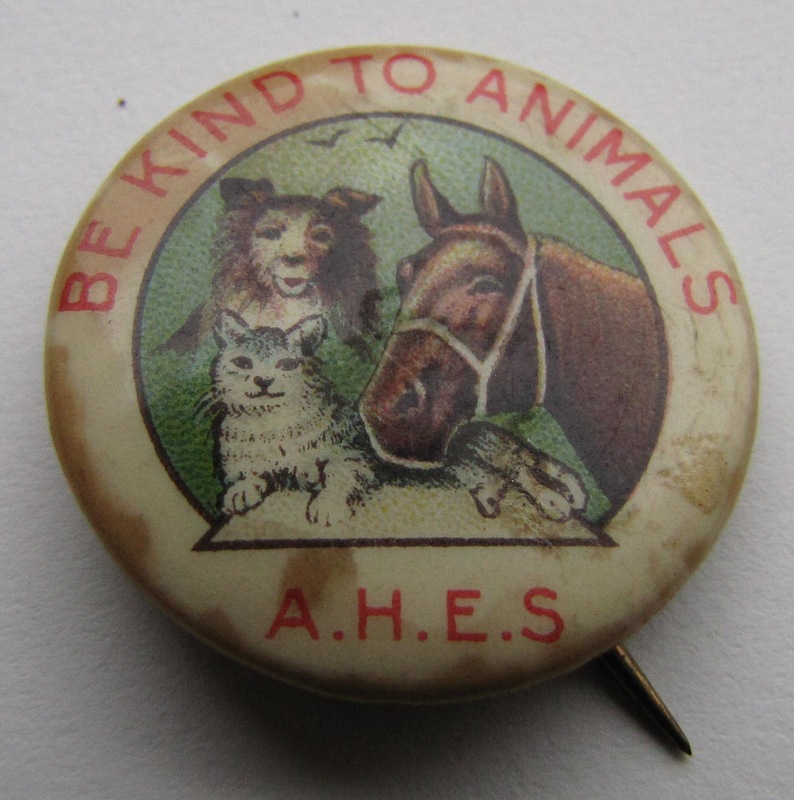 In 1914 the American Humane Education Society (AHES) started a “Be Kind to Animals”™ campaign and designed this button as part of this effort. The logo–featuring two birds, a dog, a cat, and a horse–became an important visual symbol of this campaign. The AHES initially ordered 25,000 of these buttons but quickly discovered that they would need a much bigger supply–they ran out within just a few weeks and had to place a new order! 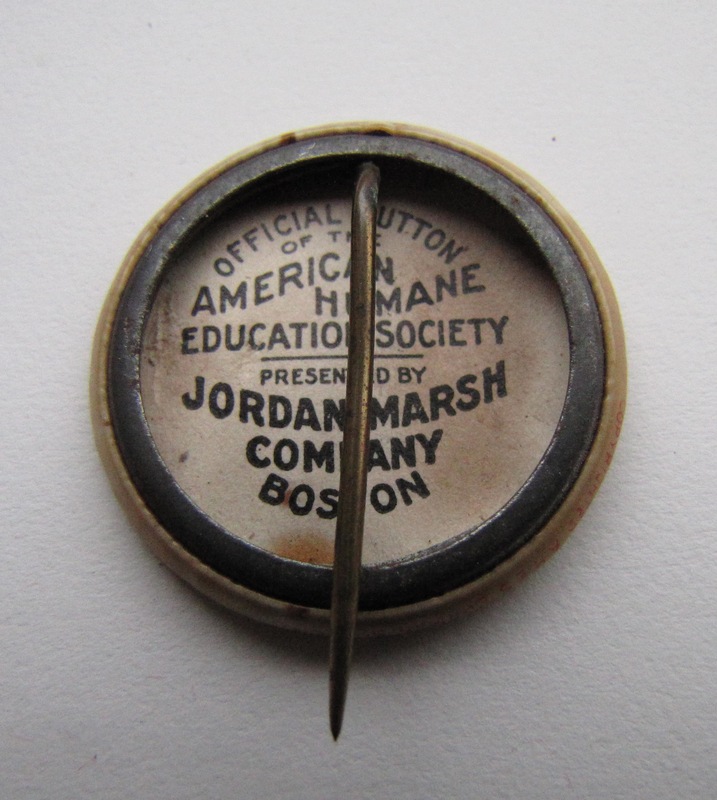 Buttons were distributed through humane societies and likeminded organizations throughout the country. A Boston-based Department store took 100,000 of these buttons to hand out free to customers who shopped there. The AHES annual report for 1914 states that was the Society’s goal to distribute 1,000,000 of these buttons during 1914. Be Kind to Animals™ metal button, front. Produced by the American Humane Education Society. Collection of MSPCA Angell. Be Kind to Animals™ metal button, back. Produced by the American Humane Education Society. Collection of MSPCA Angell.